Boira Mteki was born in what was then Salisbury, Rhodesia (now Harare, Zimbabwe). He initially found an outlet for his artistic talents at the Canon Paterson Craft Centre in Highfields in Harare, a centre that enabled skilled carvers to make a living from their work. He heard about some interesting raw stone not far out of town, and made an expedition on foot with a friend. He discovered the pale grey limestone that remained a favourite medium for the rest of his life. Together, they carried a 60kg piece of limestone to the nearest bus stop. When he got home, Boira then created his first massive and quintessential ‘Head’. It was such a powerful and astonishing work, that Boira and Canon Paterson took it to show Frank McEwen at the Workshop School of the National Gallery. He was so impressed that he invited Boira to join the emerging group of influential artists gathered there, and Boira’s career as an artist proper began. Boira’s work is in the Permanent Collections of the National Gallery of Zimbabwe (NGZ) and of Chapungu Sculpture Gallery. 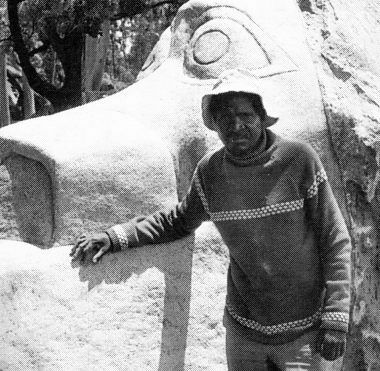 His work was part of various ground-breaking exhibitions and he is now regarded as one of the elder statesmen of the Shona sculpture movement. 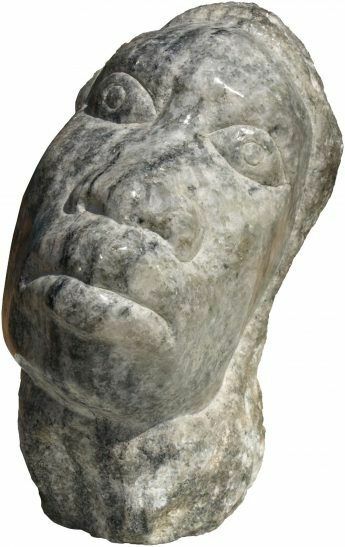 In particular, he was instrumental in encouraging Zimbabwean artists to move away from using soft stones such as soapstone, and to challenge themselves with harder and better materials such as limestone, springstone, marble and verdite. We also have a few pieces of Boira’s work that are not yet on the web gallery. If you are interested, please contact us and we can send you photos.